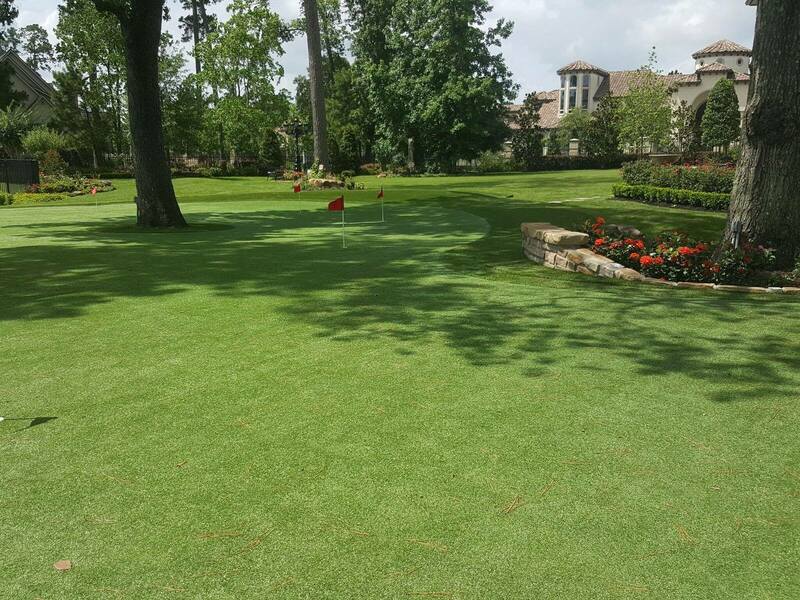 Golf Turfs is dedicated to designing and installing the finest in artificial grass golf greens and landscaping. 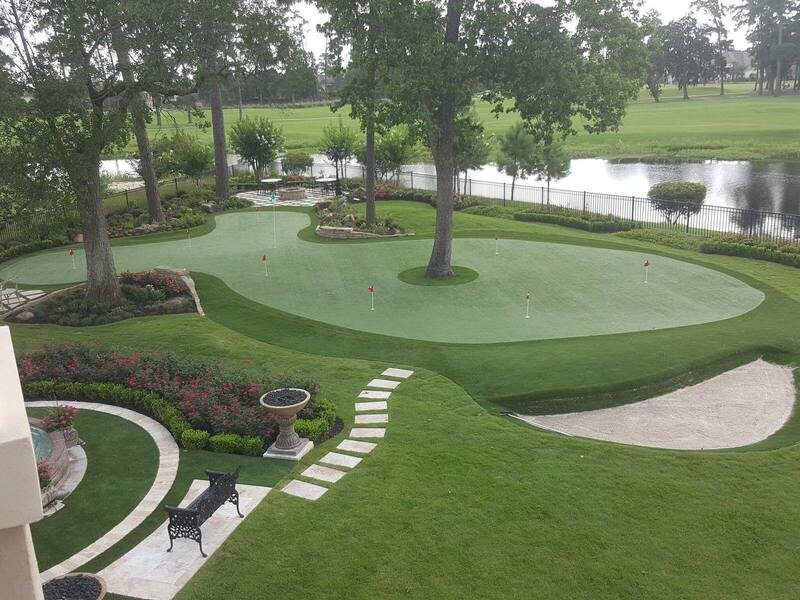 Golf Turfs specializes in designing and installing custom backyard putting greens. It’s what we do best. 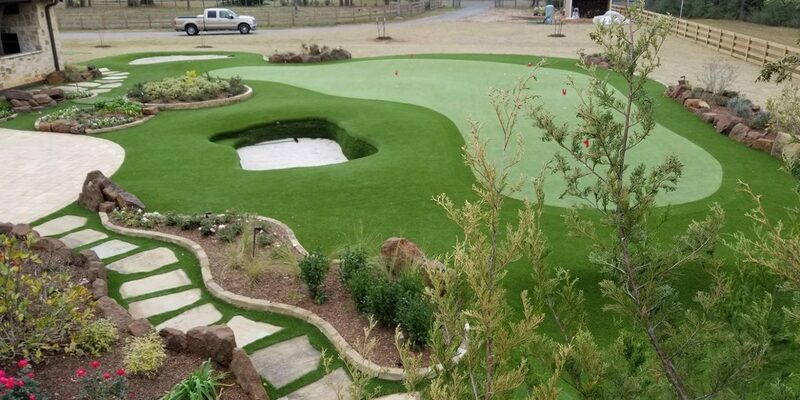 We can contour our artificial grass turf to smoothly transform your backyard into the golf green of your dreams. 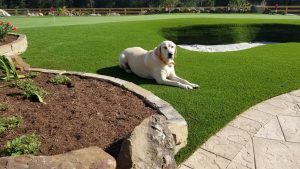 Whether you have a small space in a side yard, or want to transform your entire backyard into a dream green, we’re the synthetic turf installation team for you. 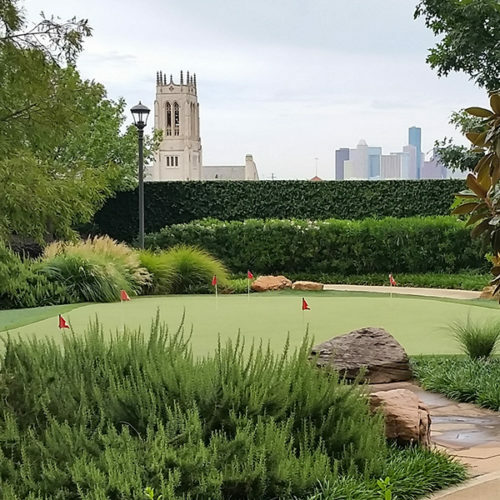 Whether you have 500sf or several acres to cover with a more complex golfing compound, call us and we’ll schedule a free artificial grass putting green consultation today: 713-223-TURFS (8873). Authorized Dealers for Celebrity Greens are hand selected based on their industry knowledge, depth of experience and quality workmanship. 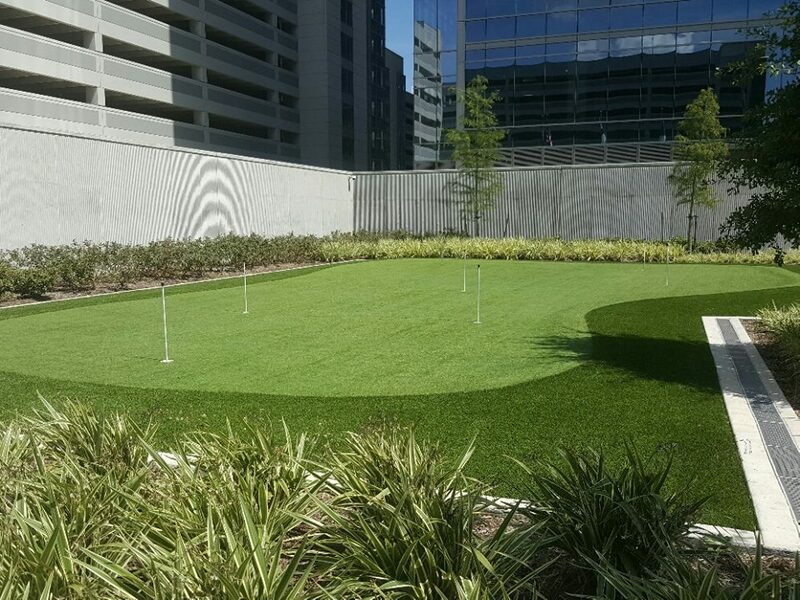 They are highly specialized and highly trained in the design and installation of multiple synthetic turf applications. 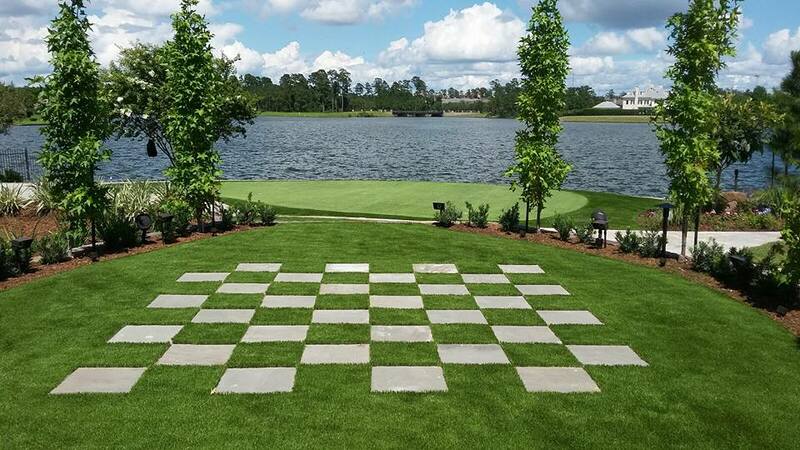 Golf Turfs provides complete design, installation and landscaping services with synthetic grass in your own backyard, front yard or commercial property. Our turf is highly durable, looks and feels like natural grass, and will stand up for years to come. Our unique backing allows for ample drainage, perfect for pets, and for rain runoff. We can incorporate landscaping features such as paving stones, trees, fences, water features, etc. 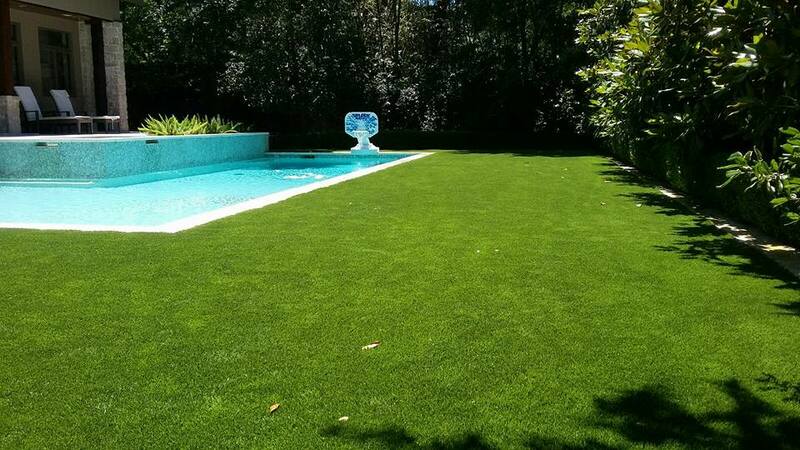 Our turf even works great around pools, and reduces the amount of dirt and debris falling into your pool. It’s also the perfect solution for hard to get to areas, steep slopes, narrow spaces, or extremely large lawns which are difficult and costly to maintain. Artificial grass requires no mowing, no fertilizers, pesticides, etc. Artificial grass also reduces allergy issues for kids and adults alike. 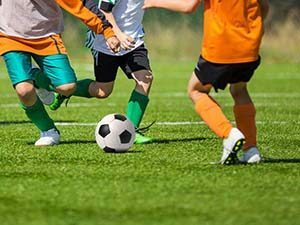 And it’s a terrific choice for sports fields, because the uniform surface created with artificial grass and reduce injuries and improve performance. No more brown spots or muddy messes in high traffic areas. It’s perfect for playgrounds, commercial common areas, backyards with pets or a active kids. Call today to set up your FREE artificial grass consultation. 713-223-TURFS (8873).